Hi, Today I am going to discuss a little bit about Acid Reducer Ranitidine which is acquainted with almost all the people of India. It is one of the essential things among the Indian People. Ranitidine such as Rantac, Zineatac, Histac etc is the common name to us as Acid Reducer. Basically, this medicine is used for the treatment of stomach and intestines ulcer and also to prevent those ulcers from coming back again when they have healed or cured. To cure some certain problems in the throat and in the stomach like erosive esophagitis, reflux disease, esophagus etc. this medication is highly utilized. It comforts the patients suffering from heartburn, stomach pain. Ranitidine works by reducing the quantity of acid our stomach produced so sometimes it is called “Acid Reducer Ranitidine”. This medication belongs to the category of drugs which is known as H2 blockers. When a patient cannot take this medicine by mouth, it is given to him or her in the form of injection and it is only for short-term treatment. After the recovery from that state, the doctor switches the patient to take it by mouth until the patient recovers from the disease that he or she has been suffering from. How many days or time the patient will have to take the drug is dependent upon his or her medical condition and it is decided only by your physician or doctor. Don’t take the decision yourself. Always take proper advice from your doctor and take it. It is found that many people taking this medicine does not have a significant side effect, but it does not mean that you will have no side effect after using it. There may be occurred the following side effect of Ranitidine which may be called Acid Reducer Ranitidine side effect. 4. Vision Change or Blurred Vision. 5. Mental or mood change like nervousness, confusion, depression, hallucinations etc. 12. Abdominal pain or stomach pain. 14. Yellowing eyes or skin. Though the allergic reaction of this medication is rare; but in some cases allergic reaction like rash, itching or swelling, dizziness and trouble berating is noticed. So, be careful before using this drug. Always inform your doctor if you noticed such kind of abnormalities after using this medication. You should also keep in mind that the above-mentioned side effect is not the complete list of side effect of so-called Acid Reducing Ranitidine medication. There may be other kinds of side effect noticed. If you find any abnormalities, contact your pharmacist or doctor immediately. If you are allergic to any kind of H2 blockers like Famotidine, Cimetidine, Nizatidine, inform your doctor when you are consulting with him or her. You must tell your doctor or physician if you have any other allergies as this medication contain some inactive ingredients for which you may have to face an allergic reaction or other problems. Don’t hide anything from your doctor. You should reveal your medical history as- heart problem, blood disorder which is called “Porphyria”, problems in immune system, kidney problems, any kind of liver disease you suffered, lung problems such as asthma, COPD (Chronic Obstructive Pulmonary Disease) and other stomach problems like having tumors in stomach etc. before your doctor so that he or she can prescribe the right medication for you and for the problems you are facing. There will be some symptoms that may actually be the sign of the more serious condition. If you notice such symptoms contact your doctor or pharmacist as soon as possible without delay. If you fail to contact your doctor or pharmacist, get yourself hospitalized. You must tell your doctor or dentist all the medicines you used before going to have any kind of surgery. These may be prescription drugs, non-prescription drugs or herbal product. Don’t use this medication i.e Acid Reducer Ranitidine if you are pregnant. At first, consult your doctor and he or she will give you the proper medication and doses you are actually needed. A breastfeeding mother should also consult her doctor before using this medicine as it passes into breast milk and it may harm your baby’s health. This article or documents does not hold all the probable drug interaction. It may be different. 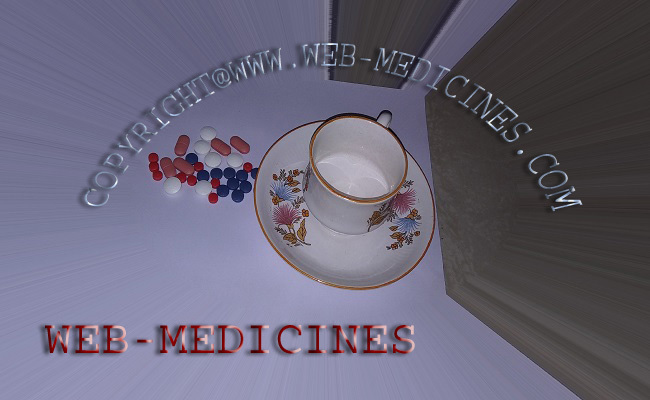 It depends on how your medicines work or grow your possibility of important or serious side effects. Always keep a list of all the products which you have already used. It should include the prescription. If you have used nonprescription or herbal medicines, keep with you a list and placed it before your doctor so that he or she can properly be diagnosed you. You must not stop, change or start the dosage of any medication before your doctor’s or pharmacist’s consent. This medication is called as Acid Reducer Ranitidine because it reduces the acid in the stomach. So, don’t use Ranitidine while you are using Atazanavir, Dasatinib, Delavirdine and some Antifungals like Itraconazole, Ketoconazole as it needs stomach acid to work properly. This also includes Pazopanib which also needs stomach acid to work properly. If you are doing any kind of pathological tests while using this medication, you must inform your laboratory personnel about it because it may interfere with some laboratory or pathological tests and for this, the tests may give a false result. If you are taking Ranitidine and have overdosed and noticing symptoms like breathing trouble or any other like a sudden rash in your body etc., immediately call your doctor and tell everything you are feeling. The overdose may also include the symptoms like fainting, walking weakness or difficulty etc. But remember these are not the complete list of symptoms of overdose. Always keep in touch with your doctor while you are under treatment. Don’t give this medicine to other before consulting a doctor or a pharmacist. It may be harmful to him or her. 3. Avoid taking too much spice in your food. 4. Avoid too much oily food. The above-mentioned notes will help this medication work well. Some pathological test such as endoscopy, liver function test should be done periodically to observe the progress of your health and also the side effects of the medication. To know more consult your doctor. If you forget to take the medicine at the scheduled time, you must take it as soon as you remember about it. If the time when you remember about it is near the next dose, you must forget the dose you missed and take the next dose and continue from then. You may also consult your pharmacist or doctor about it and to my mind it is much better than I describe above. Don’t store this medication in the open air or light. Read the instruction of the product package carefully and keep it accordingly. Always keep the medication away from children and pets. You must consult your pharmacist about how to store the medicine in your house. He or she may help you in this regard. If you need not need the medicine anymore, contact your local disposal center and give them the product. On the condition of expiry, you must do the same. You may also take the help of your pharmacist about how to discard the expired medicine. But don’t drop it in the toilet or drain as it may harm others. Good Article for every people who just want to gain some knowledge in medicines. Please, write like this. Very good and informative article . It seems to me that it will help us in many ways. Very very good post for everybody. I like this post very must. Thanks for publishing such article. Good and informative article for every body. It will help us in reducing acid . good and very powerful article on ranitidine . i like it very much. Good article on ranitidine. It will help us in many ways. Good article for every one . It will help us to reduce our acid . Ranitidine is a good tablets for reducing acid. Thanks for publishing such article.